As the groom, take my advice and book with confidence, Maegan is the best around! She’s extremely talented and her vision captured our wedding day perfectly. We had so many compliments from friends and family about our wedding photographer. I strongly recommend Maegan to any prospective couple! Maegan was great! Picking a photographer is very important and she made the decision EASY! She exceeded all expectations and was a pleasure to work with. 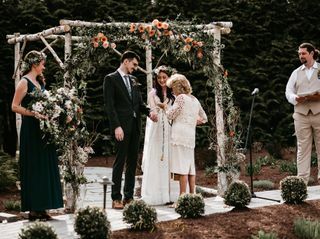 I was definitely not a typical bride and she worked with me to make my dream day possible with no added stress! Her photos turned out beautifully and I received SO many compliments on them. She has a great eye and made us both feel completely natural and relaxed! If you want to work with someone who's kind, devoted to the best pictures and incredibly talented, then pick Maegan! Maegan perfectly captured our day and we are so thankful to have found her. She is very easy to work with and really helps you feel comfortable. The photos she captured are beyond amazing and we could not have asked for a better photographer!! 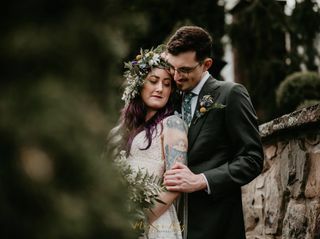 Maegan did an incredible job as my wedding photographer. From the moment we signed the contract she helped with planning and went well out of her way. Our engagement pictures were flawless and we had an absolute blast on our wedding day. She spotted the best picture locations and kept us all laughing and having fun. Maegan is seriously the best and you would be remiss to choose anyone but for her! I cannot say enough good things about Maegan. We had some last minute complications that affected our timeline, and she was so flexible and completely willing to work with us to make sure everything went perfectly. She was kind, friendly, and fun to work with. She had our sneak peek ready two days after the wedding, and all the photos are absolutely gorgeous! I often think I am not photogenic, but Maegan put us at ease and was able to capture the beauty and happiness of the day perfectly. I've had many people tell me our wedding photos are the most beautiful they've ever seen! 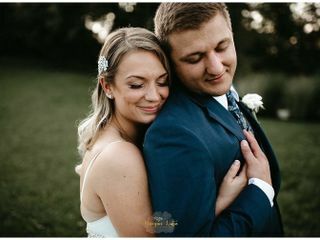 I can't wait to see the rest, thank you SO much- our wedding just would not have been the same without Maegan! Maegan is very professional easy to work with. We will continue to use her in the future for all of photography needs as out lives change and our family grows. Maegan photographed our destination wedding. 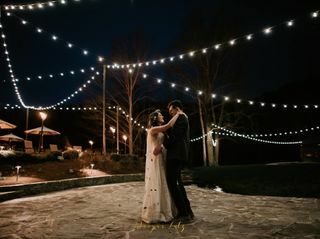 We had so many last minute changes the night before, but the day of the wedding she went with the flow, helped to keep my calm, and captured my wedding better than I ever could have imagined. Her work is beyond gorgeous and her and her husband are such generously nice people. I'm so glad she photographed our wedding! We couldn't have chose a better photographer, who I now consider a friend! I cannot say enough good things about Maegan -- she is the ultimate professional, she is incredibly talented, and she also happens to be one of the easiest and nicest people to work with!! She and her assistant were able to capture the beauty and underlying emotion and tone of our wedding in pictures. I could not be more pleased with my interactions with her and the photographic outcome. I highly, highly recommend her - she will exceed your expectations, of this I am certain. 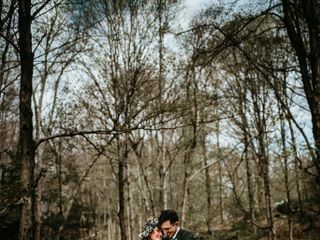 We loved the sneak peak of Tyler and Anna's wedding on her FB site. Recently Maegan made the entire collection of photos available online to us and our family and wow were we pleased!! I have gotten so many positive comments. In particular, the many details - like glasses, flowers, cake, his army uniform, her beautiful dress and veil...made for a unique collection of views of the small, intimate wedding. Also Maegan was adept at bringing out the fun and humorous side of the various participants of the wedding so rather than the typical "formal" poses we have wonderful, happy memories of our family gathering. She really brought out the best in all of us! Maegan did an amazing job with our wedding! I would highly reccomand her! Maegan photographed our engagement and wedding in Savannah, GA and we were absolutely blown away by her work. She managed to capture the pure joy of the day from start to finish! 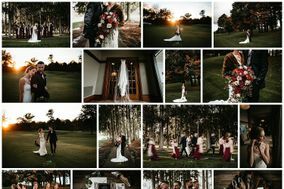 She demonstrated her expertise in her prep with us leading up to the big day, she is detail oriented, artistic, and very fun to work with amidst the wedding day nerves :-) Here photos showed such amazing light and color of our surroundings, matched with style and the theme of our day. Maegan did such an excellent job - thank you!! We used Maegan for both our engagement and wedding photos and absolutely loved her! She was very professional and accommodating and the pictures turned out beautifully! I would definitely recommend her for your photography needs! Meagan photographed my engagement and my wedding in 2012. The experience was amazing and she went above and beyond to answer any question that I had and to make sure that my husband and I were comfortable in front of the camera. Maegan assisted me with not only photo ideas but also gave advice on what we should or should not wear and how outfits would look on camera (all things I had no clue about). Not only are her pictures of the best quality when we were posing but she was able to capture some candid moments that became my favorite pictures of my wedding. Her talent has only grown since she photographed my wedding and south Georgia lost a truly talented photographer when she moved to Pennsylvania.